Every year hundreds of thousands of mosquitos are killed or maimed by the unregulated use of insecticides by overzealous holidaygoers. Thousands more are brutally struck down without warning just as they are sitting down to dinner. "They're just trying to make a living," offered one outraged mosquito supporter. "I mean it's not like they can just wake up one day and make a lifestyle choice to go veggie, is it? ", he said, noting that many mosquitos also have families to feed. However, despite the hard work of such activists, there is still a long way to go in raising awareness of the plight of these persecuted insects. Despite pressure from the SPCI, the British government has so far refused to support a ban on lethal anti-mosquito sprays and lotions which would encourage holidaymakers to use non-lethal repellant sprays. 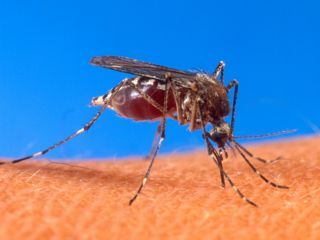 Despite widespread support for such an insecticide ban, the mosquito issue has also caused controversy in the Insect Rights movement, with some activists demanding that non-lethal repellants also be banned as they are offensive to mosquitos and other biting insects. "These sprays are offensive, discriminatory, and evil and they should be banned," said an agent of the Insect Liberation Front, speaking on condition of anonymity. "I mean you don't get many people spraying themselves with butterfly repellant, do you? So why mosquitos?" adding that if he saw any holidaymakers spraying themselves with mosquito repellant sprays he would be tempted to "set fire to the b***ards".